LANCASTER – The City of Lancaster, in conjunction with the Los Angeles County Public Library in Lancaster, recently announced the second in an ongoing series of quarterly book selections as part of the new Lancaster Reads! Program. “While the primary goal of the Lancaster Reads! Program is to promote reading and literacy, it is also an excellent opportunity for residents to connect with neighbors and friends through the community discussion forums,” said Mayor R. Rex Parris. Lancaster is part of the growing nationwide reading program, which adopts the idea of a localized book discussion club and expands it citywide. The idea, which originated in Seattle in 1998, has been adopted in at least 35 different cities. Lancaster City Council approved the Lancaster Reads! Program on November 13, 2012. 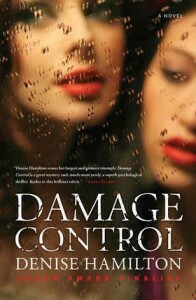 The book selected to be read this quarter is Damage Control, a novel by Denise Hamilton. Participants will have until mid-June to complete their reading. A community discussion with the author is scheduled for Thursday, June 13, at 6 p.m. at the Lancaster Library. City and Library staff will choose a new book each quarter, and welcome recommendations from the public. Each quarter when the book is chosen, the City of Lancaster will post the title and locations to purchase/borrow the book on the City’s website. At the end of each quarter, a discussion forum will be held to celebrate literacy. When possible, the author of the book will be invited to come for a special presentation. If a movie has been made from the book, it will be included as part of the culminating event, and a dialogue will be held to compare and contrast the differences between the two. In addition, a page has been created on the City’s website, along with a blog, that includes information regarding the respective book and author, as well as a toolkit for patrons interested in leading smaller discussion groups within the community. A community calendar detailing discussion forum dates and future book selections will be created for individuals interested in participating in the program. For more information, call the Parks, Recreation and Arts Department at 661-723-6077 or visit www.cityoflancasterca.org/read.